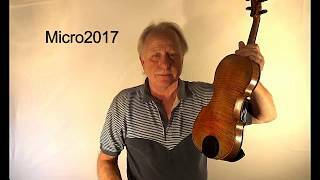 So, what is wrong with your violin chin rest? Well, to start with, a violin chin rest is carved from hard wood, usually ebony, one of nature's hardest. The contact between this hard chin rest surface and our vulnerable face, chin, and neck has caused generations of violinists, from beginners to professionals, to endure skin irritations, bruises, and red spots. These skin irritations are so common, they even have their own nicknames: "violin hickey", or "rose patch" are 2 examples. These bruises are more than just unsightly; they can be quite painful and typically result in a reduction in practice time, at the very least. Worse yet, if your chin/face/jaw is uncomfortable, the tension that results can easily migrate to your hand and fingers, and can even cause back and shoulder pain. 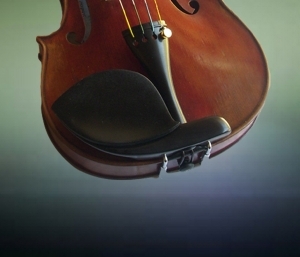 Finally, while having a comfortable instrument is crucial for mastering basic techniques like playing in tune, vibrato, bowing, it is also a major factor in simply enjoying the playing of the instrument. Look closely at the 2 photos above or you might miss the GelRest attached to the 2 chin rests. 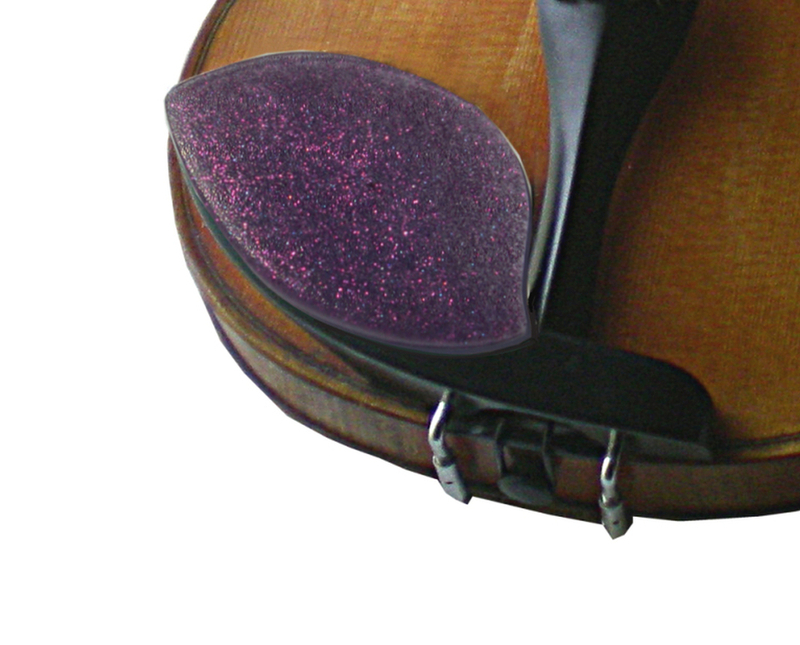 That's because we make GelRests in 8 different shapes, each one designed to fit a variety of violin or viola chinrests. 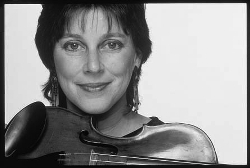 Note: viola chin rests are usually exactly like violin chinrests. 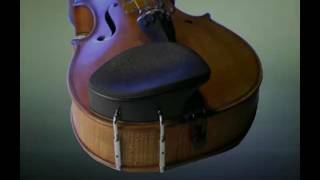 To find one that fits YOUR chinrest, go to the Chinrest Fit Guide 2017. Print, Cut, and Place the cut-outs on your chinrest to determine which one is the best fit. A GelRest is easy to install -- just peel and stick. 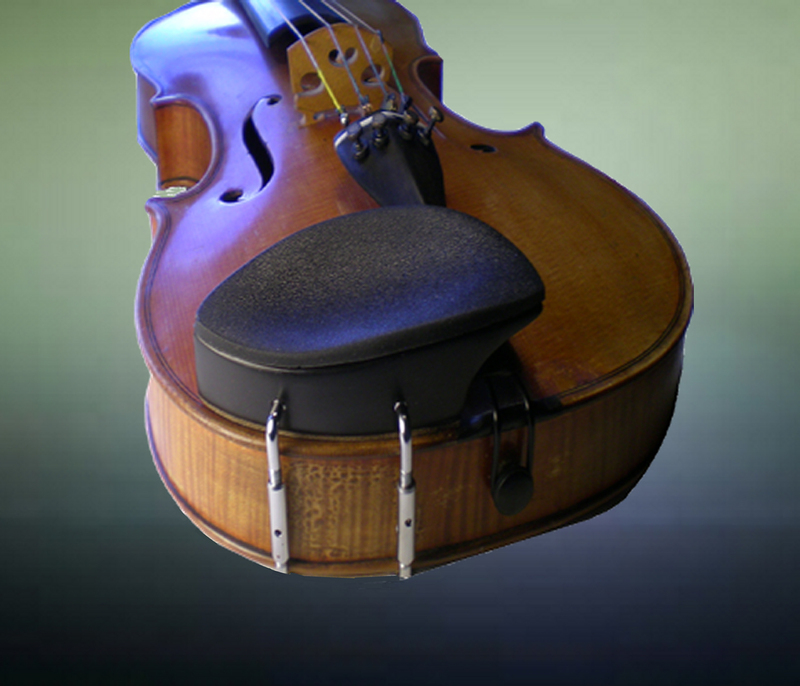 And, unlike a shoulder rest, a GelRest does not have to be removed each time you put the instrument back in its case. Just set it and forget it! 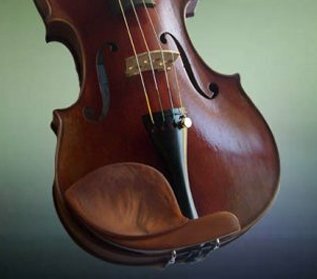 If you've been in a violin shop lately, you know that chinrests come in a wide variety of shapes, sizes, and wood types. That's why we make GelRests in a variety of styles and colors, all designed to look great and feel great. But with so many choices, it can be hard to choose. Which one is the best fit for your chinrest? The Fit Guide makes that easy. 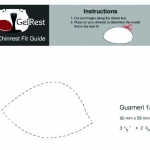 Simply click the image above and print the Fit Guide. Cut out the images, place on your chinrest, and choose the one that fits best. Don't have an ebony chinrest? 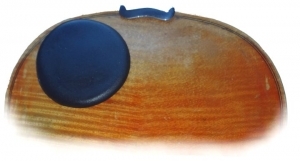 No problem, all GelRest models are also available in Boxwood and Rosewood. We even have some great colors that your young students will love. Click the All Products tab to see all colors. Need more info? Watch our videos! We also offer FREE SHIPPING in the USA!